A lightweight trilogy between two expert-grappling veterans has reportedly been added to the upcoming Rochester card, in May. Per Combate, Nik Lentz and Charles Oliveira will duke it out once again, after the first encounter ending up in a No Contest, in 2010, and the second one, in 2015, was won via submission by ‘Do Bronx’. 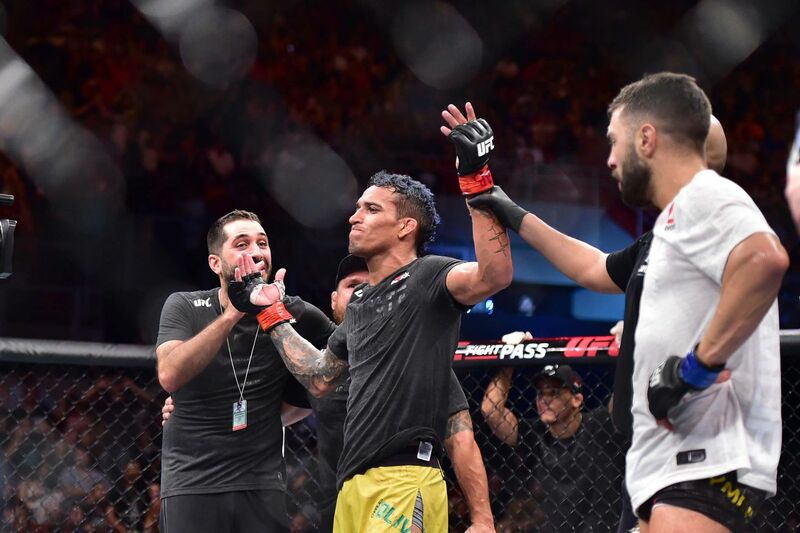 Currently on a four-fight winning streak – with submission wins over the likes of Clay Guida, Christos Giagos, Jim Miller, and David Teymur – Charles Oliveira (26-8- 1 NC) hasn’t lost a fight since a TKO loss to Paul Felder, back in December 2017. On a two-fight winning streak, Nik Lentz (30-9-2-1 NC) bested Scott Holtzman via unanious decision and Gray Maynard via TKO in his last couple of outings. Before those wins, Lentz suffered a unanimous decision loss to David Teymur, back in June 2018. Charles Oliveira is expected to take on Nik Lentz at UFC Fight Night 151, in Rochester, New York, on May 18. The card will be headlined by a welterweight bout between former lightweight champion Rafael dos Anjos and former interim lightweight title challenger Kevin Lee. Stay tuned to Bloody Elbow for more news and updates.